This is a handmade genuine leather watchband. it is a classic style watchband. 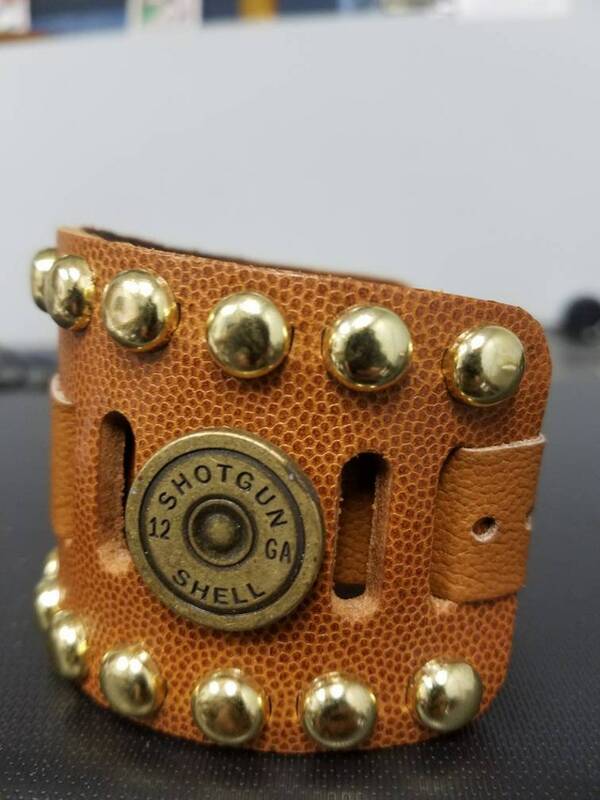 the cuff has a border of round studs. The has a sturdy buckle for fastening and adjusting the size. Adjustable from 7-1/4" to 8-3/4"
Please message me for other colors and stud patterns or sizes.